Foam Shapes | West Coast Drywall Construction Inc.
WCD is your source for all types of foam shapes at exterior stucco or EIFS. 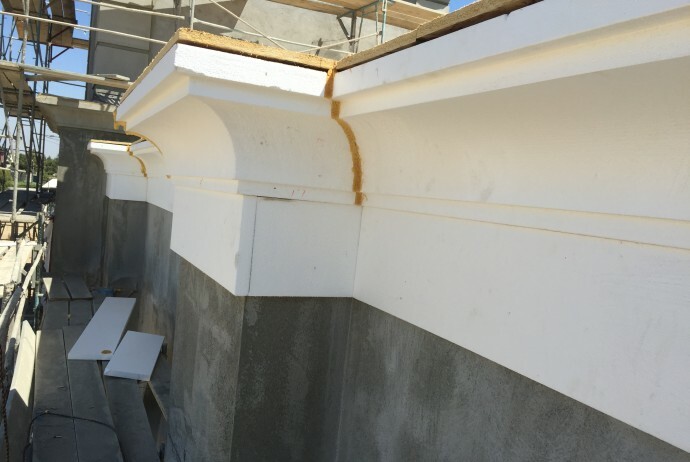 Stucco coated expanded polystyrene foam shapes are typically used as decorative trim such as Columns, Cornice, Window, Door or Accent trims. Once the foam shapes are attached to the substrate and covered with a self adhesive fiberglass netting, the cementitious coatings can then be applied by hand or machine applied.We have 20 years experience with all types of foam shape installation.